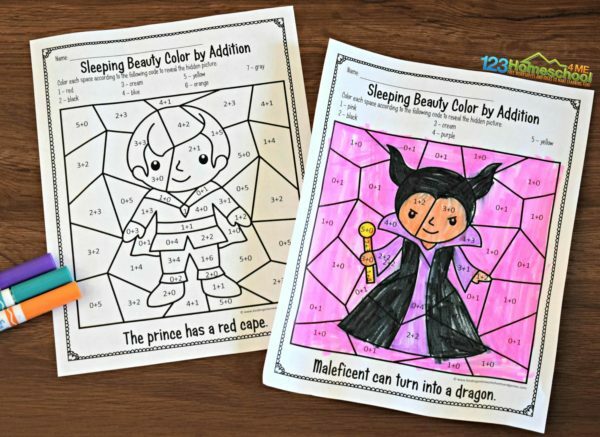 Make practicing addition within 10 FUN with these FREE printable Disney Sleeping beauty Color by Addition worksheets. These make practicing math fun for kindergarten and first grade. 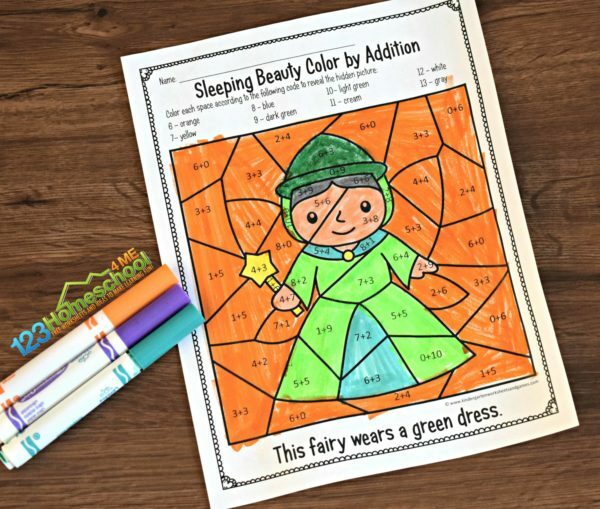 You will love how easy these Sleeping Beauty Color by Addition worksheets are to use! Plus they are great practice for kids working on gaining math fluency. Kids will complete the addition problems and then color these math coloring worksheets using the code above to reveal the characters from the story of Sleeping Beauty. These are such a fun, easy way for kids to practice math. 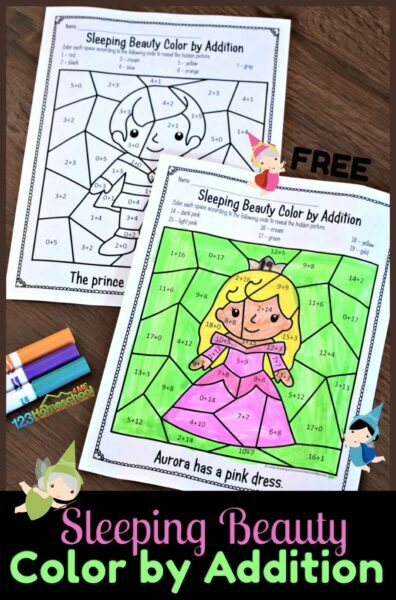 They will want to practice addition again and again with these Sleeping Beauty math coloring worksheets. These are perfect for kindergarten and first grade kids.